A variety of issues are addressed during a divorce proceeding. Bank accounts need to be divided, a decision with regard to the marital house must be made and, if there are children, child support needs to be calculated. As you would assume, child support is for the benefit of the child. Until recently, without a court order or consent of the parties, child support would continue for an indefinite period of time. 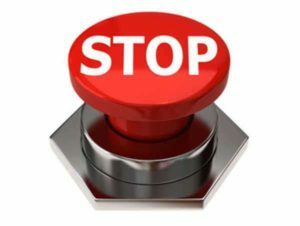 Some people take matters into their own hands and just stop paying child support, but this may lead (if you are paying child support through the probation department) to the issuance of a child support bench warrant. 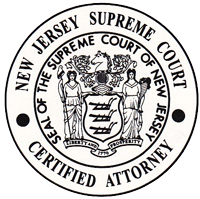 New Jersey has now enacted a new statute that will impact all child support orders. Previous to the enactment of this new statute, New Jersey permitted for emancipation upon the child’s marriage, entry into the armed services, graduation from high school without continuing post-secondary education or upon completion of post-secondary schooling. If any of these circumstances happened, a paying parent who wanted to terminate child support would need to either obtain the consent of the other parent or file an application with the court. This placed the burden on the paying parent to show child support should end. Under the new statute child support will automatically terminate without the need for an application when the child turns 19. Now the parent who receives the child support must demonstrate that child support should continue either because the child is still in high school, pursuing a post-secondary education or has a physical or mental disability. The hopes are that this will prevent the paying parenting from continuing to pay child support when, in fact, the child should be deemed emancipated. Under the new statute, notices will be sent to the parent who pays and the parent who receives child support through Probation. Probation must provide two (2) notices to the parents advising them that child support will terminate. The first notice must be sent 180 days prior to the child’s 19th birthday and the second notice must be sent 90 days later. Families with a child already over the age of 18 ½ will receive a notice on or about February 1, 2017, when the statute goes into effect. If no response is received by the child’s 19th birthday, the child support obligation is automatically terminated. The new statute also provides that child support cannot continue after a child turns 23. Prior to this statute there was no specific emancipation age. Of course there are exceptions which would permit child support to continue beyond the child’s 23rd birthday. For example, child support will continue beyond the child’s 23rd birthday if the child suffers from a severe mental or physical incapacity that causes him or her to be financially dependent on a parent. Similar to the procedure for the child turning 19, the Probation Department will also provide notice to the families with children nearing the age of 23 advising them that child support will soon terminate. While the statute may assist some families, it also may cause issues with others. For example, if you are paying child support for two (2) children and one is emancipated, child support needs to be recalculated. This requires the exchange of a variety of financial documents. It is not as simple as taking the child support number and cutting it in half. Also, keep in mind that this statute only affects Probation monitored accounts. If you pay child support directly to the other parent, Probation will not send out termination notices. This mean a child support obligation will continue indefinitely until the parties sign a consent agreement to terminate child support or the paying parent files an application with the court (which must be granted) to terminate child support. This statute will affect everyone who is paying or receiving child support. If child support is being paid through Probation, doing nothing will now result in child support being terminated. The matrimonial attorneys at Gale & Laughlin are here to help and to answer any questions you may have. Our attorneys have assisted clients through Monmouth, Middlesex and Ocean counties with all of their legal needs.